Musical Lullaby Lamp Lighting Ceiling ProjectorModel No: 1395500. Playette Star Glow Cube is the perfect nursery eye candy for any modern parents who appreciate good design. This glow cube projects stars on your nursery ceiling when in dark whilst soothing your little one with soothing lullabies. 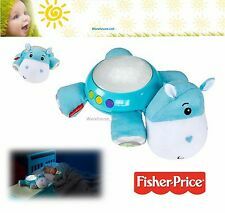 Fisher-Price Hippo Plush Projection Soother. This plush hippo pal sits on a dresser or table top to help soothe baby, filling the room with starry lights and 30 minutes of calming lullaby music, nature sounds or white noise! 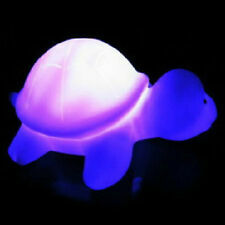 Lovely turtle shape, 7 different bright colors will change automatically. 1 Turtle LED Night Light. 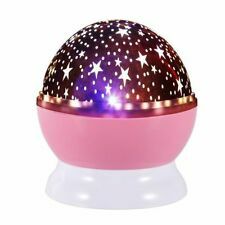 Built in Led light ,make your room warm, weet and full of romantic breath. Plastic material appearance, feel comfortable and lightweight to take. 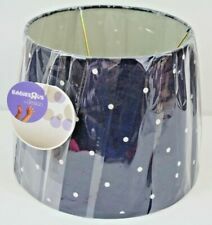 Navy lamp shade with white polka dots from Babies "R" Us. Designed by Charpente. Frederick Warne. 'The World of Beatrix Potter'. Pater Rabbit Lamp. 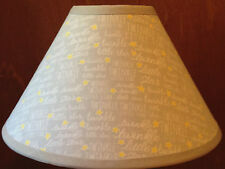 Tinker Bell Table Lamp 593-593 Hampton Bay Model 01204 2004. Cord-free nightlight made just for little hands! With an oversize on/off button and an easy-grip handle, it’s made with little hands in mind. 30-minute auto-off (slowly dims off to not disturb sleep). ~Adorable Toadstool Night Light now available, beautifully gift boxed~30cms. night the Fairies. As for children and pets well, I've got lots! ~ ✿ ~ ~ ✿ ~ ~ ✿ ~ ~ ✿ ~ ~ ✿ ~ ~ ✿ ~ ~ ✿ ~. Simply flip over the pocket to cover the belly and enjoy a warm, nightlight glow. Glowing lights in 3 colors. Model # SH307157. Change of Mind. Gro light Night Light (Bayonet fitting). Bayonet fitting. The Gro-light adapts your existing light to an adjustable nightlight. No plug socket required! Use the dial to adjust nightlight brightness. The final challenge in becoming a Jedi is to build your own lightsaber. KYLO REN LIGHTSABER ROOM LIGHT. Red Lightsaber light and authentic sound effects. Mounts to Wall. 1 Set of wall hardware. 1 Wall mounting bracket. The LCD screen changes colour to denote morning or night. Operates on AC/DC (included) and batteries (4 x AA, not included). Excellent used condition. 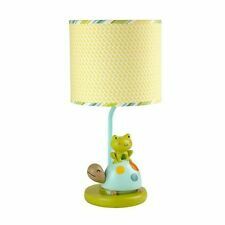 Patchwork Pooh Nursery Lamp. Condition is Used. Shipped with USPS Priority Mail. Smoke free home. Pet friendly home. Four woodland friends rest watchfully under a shaded canopy of fall leaves. Sorry for the inconvenience, but this is the LAW. Disney 'The Lion King' Nursery Lamp features Baby Simba. As per photos. Includes electrical cord and bulbs. Made by R.O.C. - Made in Taiwan. Suitable from birth . 3 colour display options: blue, green and amber, plus a multi-colour light show option. Calming starry light display projects onto the ceiling and walls of the child’s room. Dolly toy company Circus Clown with dog and balloons light from the early 1970s. 3 light settings all work as shown in photos. Please see photos for condition. Had one in your nursery as a child and now you can have one in your child or grand child’s nursery as well. See pics for condition. Ships Same / Next Day from TX USA! These whimsical pieces are all the rage for celebrity kids. This would be a fabulous accent for any nursery, child's bedroom, guest room, playroom, etc. Twinkle Twinkle Little Star. Project Nursery. White Noise. Operates on AC adapter, or 4 x AAA batteries (included). Age Suitability. Change of Mind. Weight Limit. 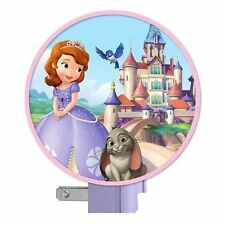 This stunning carriage lamp will give your little Princess’ boudoir her very own fairy tale ending. If you love the endearing tale of Cinderella – you must see this beautiful lamp. The lamp features the piece de résistance – Cinderella’s gorgeous carriage. A Portable blackout blind for when it's still too light to say night night! The versatile Gro Anywhere Blind has been designed to 'go' anywhere with you, and can be put in place in minutes. ThisNew Improved version has Velcro fastening which is easy to use and quick to adjust, it also features a new Twinkle Twinkle Stars and Moon fabric design. BLUE HUNNY POT LAMP W SHADE. 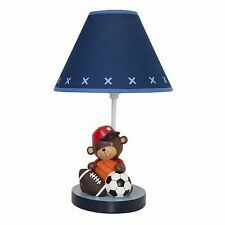 This is a charming little nursery lamp with a blue ceramic "Hunny Pot" base and a paper clip on shade decorated with illustrations of Winnie The Pooh and the Hundred Acre Wood gang. Chicco Projektor Gwiazdek to projektor z lampką nocną. Odtwarza muzykę klasyczną (m.in. Bach i Rossini) i nowoczesną oraz dźwięki natury, wyświetlając przy tym w pokoju dziecka gwiaździste niebo. Do projektora dołączona jest maskotka, którą można odczepić i która może towarzyszyć dziecku podczas snu. This gorgeous colour changing night light owl creates a soothing glow for your little one. Press once for on to see the colours change while gently lighting up the room and again for off. This nightlight switches on automatically when the room gets dark and switches itself off when it gets light again. Suitable from birth. Turns on automatically at night. Soothe baby with preloaded lullabies and nature sounds, or stream them from your Bluetooth device. Stimulate learning with engaging images and shapes projected on the nursery ceiling or wall. Project Nursery. FROM MY HUMPTY DUMPTY COLLECTION--. It has three settings, one is a night light setting, second setting is full light and nightlight, third setting is off. Has the original red shade in excellent condition. The loop can also be hooked around door handles to emit soothing and calming light into the nursery while baby feeds. 5 levels of light (gentle glow) so it provides right amount of illumination. Press the star button to turn the light on. This adorable Teddy bear in yellow pajamas with a fire engine pattern, wipes his tears as he comforts his very own teddy bear that has injured his arm. Base: 11 ". Character Bunny. Suitable from birth . 3 colour display options: blue, green and amber, plus a multi-colour light show option. Calming starry light display projects onto the ceiling and walls of the child’s room. Shade & energy efficient bulb included. Style #221024B. Shade Included. Add a pop of color to their bedroom dcor. Bedroom, Nursery. Projektor 2w1 niebieski. Kolor: Biały, Niebieski, Wzór. Urządzenie jest jednocześnie projektorem jak i lampką nocną, w zależności od ustawienia. Projektor wyświetla gwiazdki na suficie, delikatnie usypiające Twoje maleństwo.